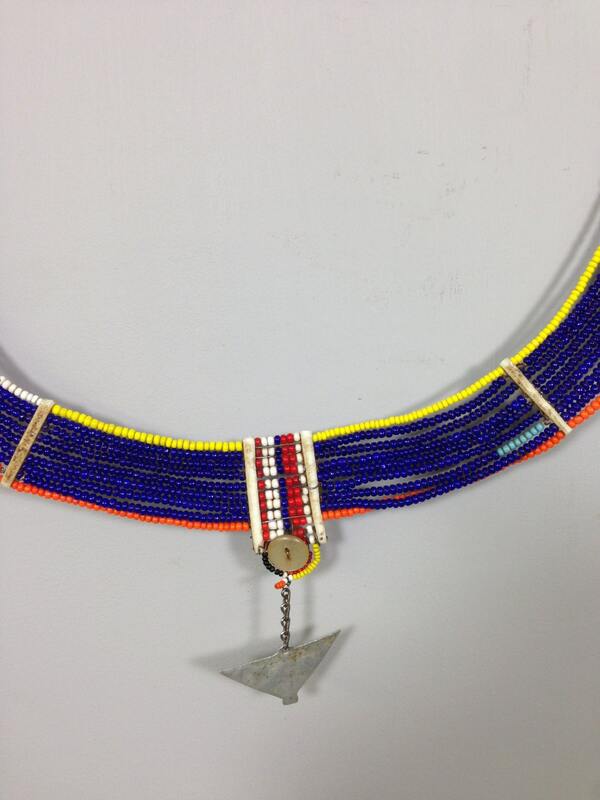 This is a lovely Old Beaded Masai Necklace is from Kenya. Masai bead work embodies the whole of Masai culture representing beauty, strength, tradition, warrior hood, marriage, age sect, marital status, social status and their deep love and devotion for their cattle. 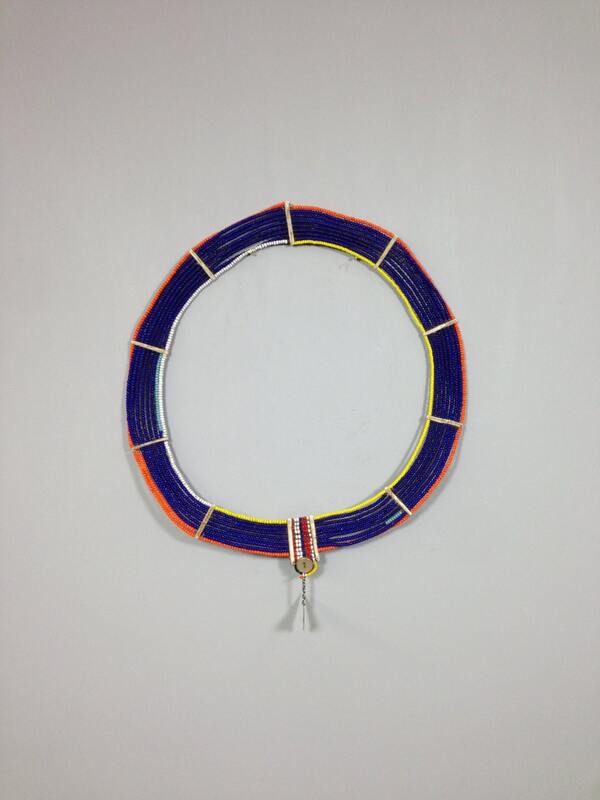 When women get married a special wedding collar is made for them by their mother and represents the whole of their village, although this collar is reserved for the wedding day women will wear similar layered collars in everyday life and in ceremonies as a sign of wealth and beauty. For both Masai women and men beauty is a very important aspect of Masai culture and the beads are used as a form of adornment throughout everyday life, ceremonies, and rites of passage and is often given to visitors as a sign of gratitude and respect. 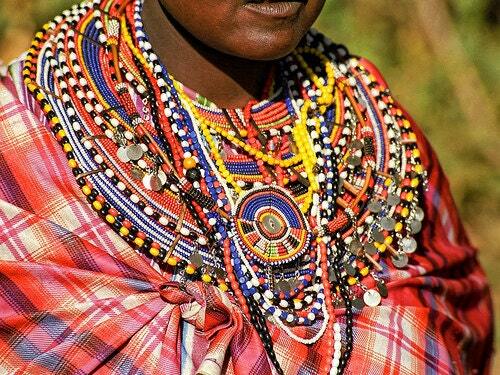 The Masai have always been known for their vibrant dress and colorful bead work but what many people do not know is that each color bead represents a different aspect of the Masai culture. 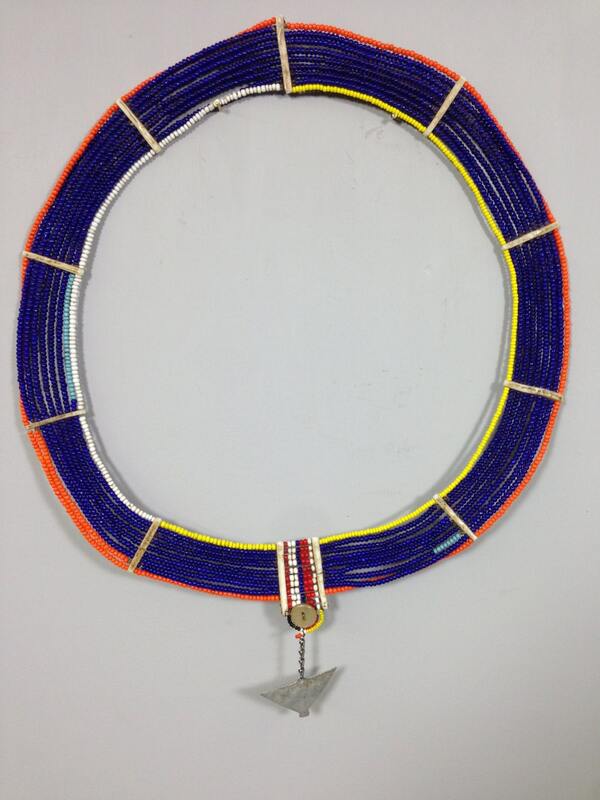 This Masai Beaded Collar would be lovely and colorful decor for your home or just a gift. I have worn these collars and they feel comfortable and look beautiful on.